I have been eating a lot of fish and chips over the years. 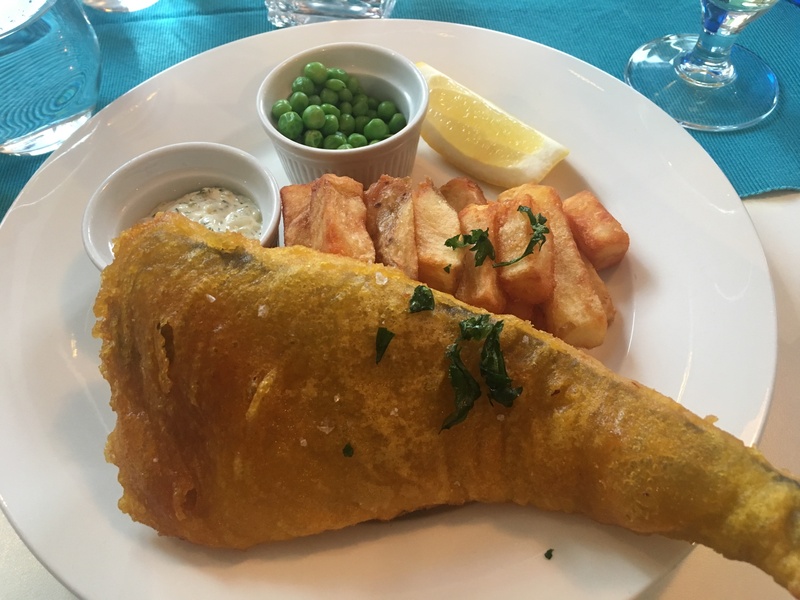 Fish and Chips are evolving over the years especially the ones serving in pubs. There are good ones and bad ones……So, I decided to become a critic, using my EXPERTISE to give my SUBJECTIVE opinion, This is a deep, serious subject. Thank you for attention! 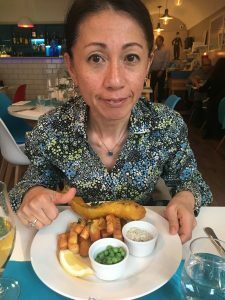 Fish & Chips Critic – Believe in Batter! Hello! What a lovely evening, we did not have spring but we are having amazing early summer here in Crouch End. 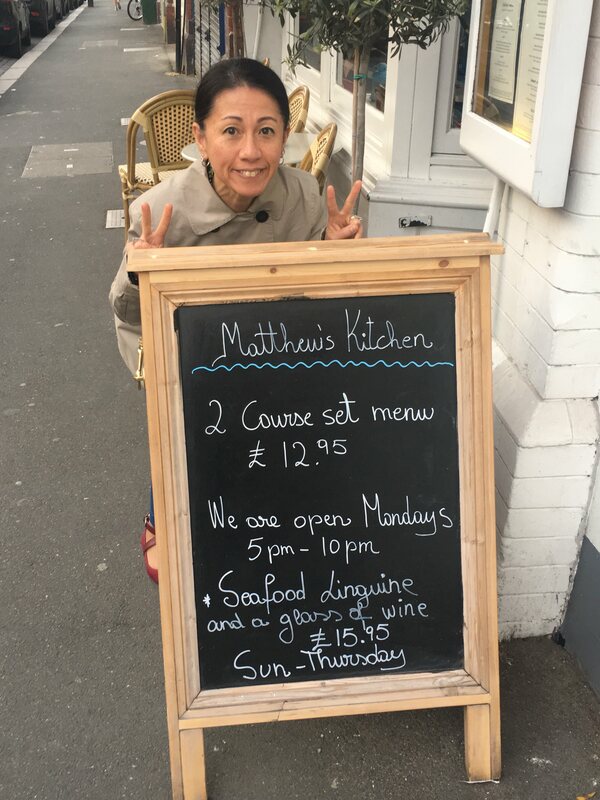 Visiting the Matthew’s Kitchen Seafood Restaurant with my peer’s strong recommendation. Bargain! 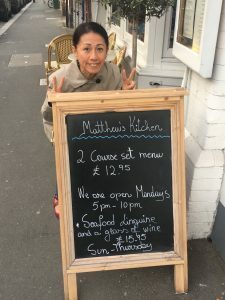 £12.95 for 2 courses of proper food. 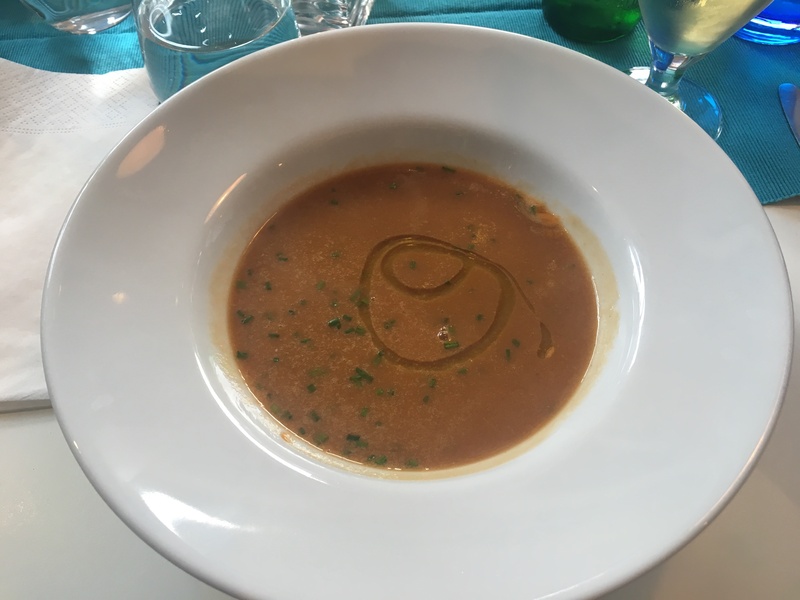 I pick “Fish & Shellfish soup, drizzled olive oil, croutons” for the starter, and for the main, of course “Beer-battered haddock, hand-cut chips, garden peas, tartare sauce”. Lovely but drizzled olive oil was sooooo unnecessary. Just made it greasy, did not add any benefit. This is what I was waiting for! First impression small portion, but, hey, it is a set menu. Actually, not sure if the portion is small or a reasonable portion served in a small plate. Fish 7/10. Fresh fish cooked well but ever so slightly overcooked therefore dry. Batter was very yellow, not sure where this colour came from. But not greasy at all, crunch and hot! Great texture. Pea 5/10 Nothing wrong, but garden peas. Overall (including starter) great food 7/10, I was also checking what others were eating, all looks well impressive. I cannot wait to come back. I will eat every single one of items on this set menu. Now even think about it, I just want to be there! Thank you Matthew!!!! (did not meet him this time). © 2019 Mina is fish and chips critic. Theme: Ari by Elmastudio. Proudly powered by WordPress.